I am addicted to G45’s new line “A Ladies Diary”. The papers are gorgeous and if you like cutting fine details it is well worth the effort. This Pop-up Card involves a lot of fussy cutting but it was fun! Card front: Cardstock with a faint crackle pattern. Stamp randomly with A Ladies Diary Cling-mount stamps and Versafine Vintage Sepia ink. Ink background colors, I used Tim Holtz Distress Inks: Victorian Velvet, Bundled Sage and Vintage Photo. Cut out Lady from 8×8 Ageless Beauty sheet. Attach 1912 Fashion Plate Ticket with a small piece of lace and a hat pin. Stamp sentiment. Card inner: Repeat random stamps and background colors on a second piece of matching cardstock. Cut pop-up sections. 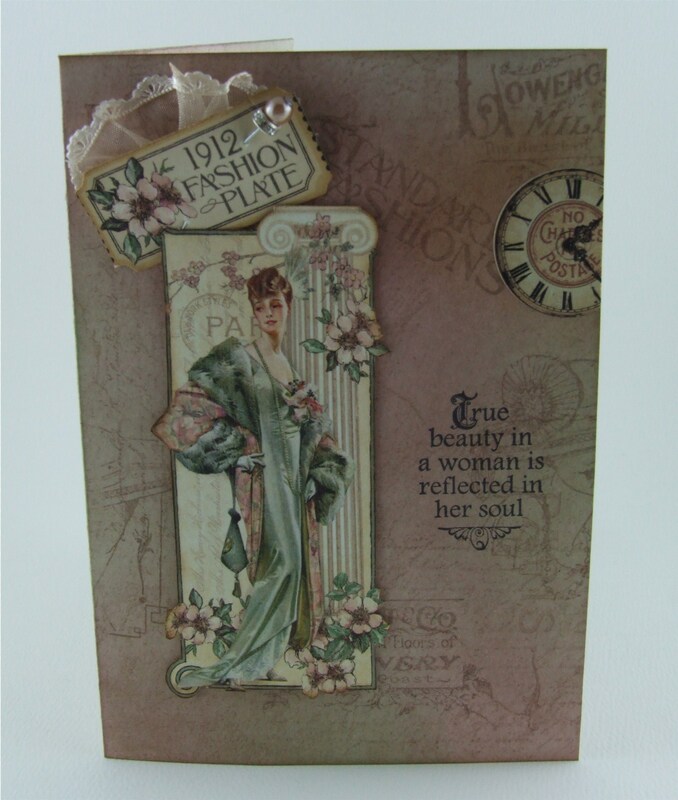 Cut out assorted ladies from Garden Stroll 12×12 sheet and attach between pop-ups. 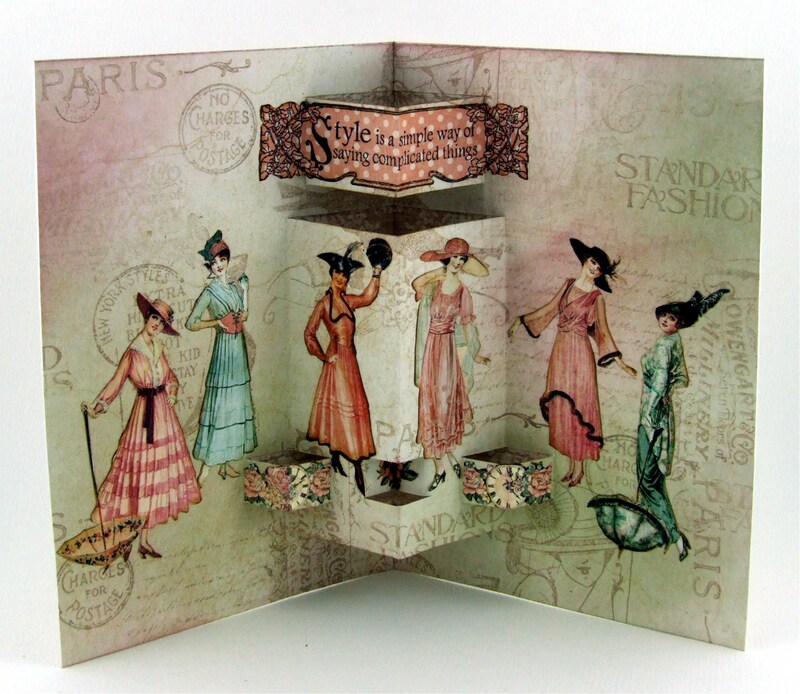 Attach the inner card to the outer card and you have a little fashion show!